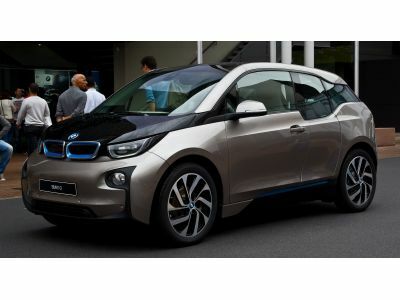 Get the Best from your BMW i3’s Preconditioning | Atlantic Autowerks Ltd. When it is very cold outside, your range will decrease. So it's very important to preserve your battery as much as possible to avoid being stranded. While still plugged into an electrical source, your BMW i3 can precondition, warming up your battery and the cabin. This way, your vehicle can be 100% charged when you're ready to go and will not spend the large amount of battery power it takes to heat up your vehicle while you are driving, which without preconditioning could cost you up to 30% of your range. Using your heated seats instead of the heat during your trip an help conserve your battery and increase your range as well, as they use much less energy. When your car is already preconditioned and the cabin is warm, this is a viable option. Alternately, in very hot climates, you can precondition your vehicle to cool down the battery and cabin prior to driving. Although a hot battery will not have an impact on your range, it will reduce the prolonged life of your battery, so it is still advised. With the iRemote app, you can start preconditioning remotely, from the warmth and comfort from inside your home, or, from the air conditioning. However, when using the remote access, please keep in mind that you are only heating or cooling down your cabin; your battery is not set to precondition this way. If you want to precondition the battery, you will need to enable "preconditioning for departure" and program it for at least 3 hours from the selected time. If you do not do this, your preconditioning will only occur in the cabin of the vehicle. If your BMW i3 is not plugged in, you can still precondition the cabin, but not the battery. You can precondition when hooked into either a 120V or 240V source, but when using a 120V source, there is a possibility that you will not be fully charged when you're ready to go. Preconditioning must be done manually with the app. Your vehicle will not automatically precondition when temperatures drop. Usually, preconditioning in the cabin will begin 30-40 minutes to departure and in the battery at 150 minutes prior to that. Optimal battery temperature range is from 25 to 40 degrees Celsius, or 77 to 104 degrees Fahrenheit.